Welcome to Hollywood Studios' online secure store, where you can put together Gang Run Printing budgets including delivery and turnaround times. These prices are only available online via online orders. Telephone support is available at a higher price. Requests or customer questions will only be answered via email or through our online live chat (when available). All products listed within this store represent our standard available products and or services. Although, we do offer some custom printed work, at this time we are only estimating items that meet our standard products or services with minor modifications to run size. 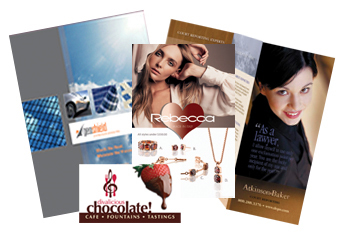 We do not print on custom papers, nor do we offer any type of printing not specifically listed within. All standard papers, 100lb gloss book, 100lb gloss cover, 14pt and 16pt are C2S premium white stock. Uncoated 14pt stock is available for certain products. Aqueous, Matte/Dull and UV finishes are available but not in combination. We do not print PMS colors. All printing is CMYK. WE DO NOT PROVIDE COLOR MATCHING. When you purchase one of our quality products online, you are acknowledging you have read and agree to our terms of service. Prices are subject to change without notice. When using this store for budget planning, remember to check back periodically for updates. Prices are only fixed once payment has been made. We appreciate you considering Hollywood Studios for your gang run print needs.